What is the ASGARD Management Center? 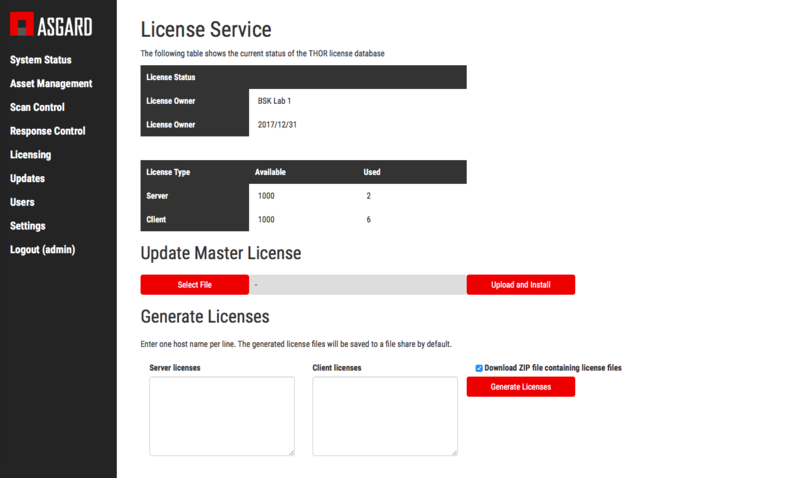 The ASGARD Management Center is the central management platform for THOR and SPARK scans. It manages distributed THOR/SPARK scans on thousands of systems, collects, forwards and analyzes logs. Furthermore, the ASGARD Management Center can control and execute complex response tasks if needed. 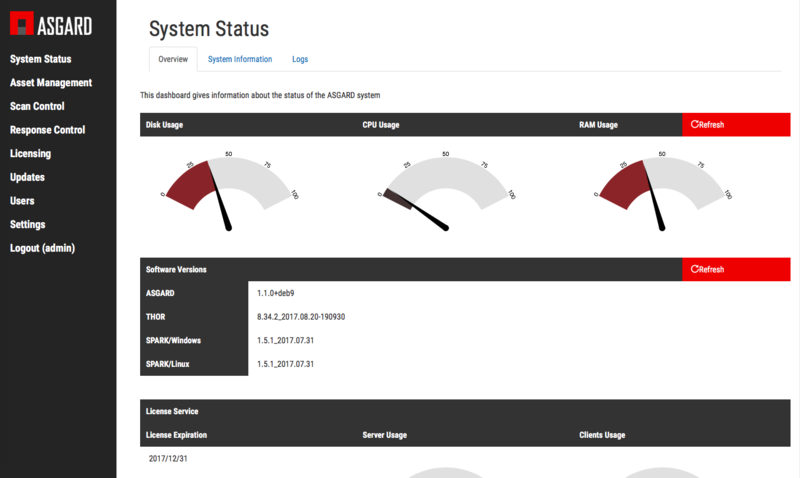 The hardened, Linux-based ASGARD appliance is a powerful, solid and scalable response platform with agents for Windows, Linux and macOS. It provides essential response features like the collection of file system, registry or memory evidence, malware process termination, remote file system browsing and other counteractive measures. 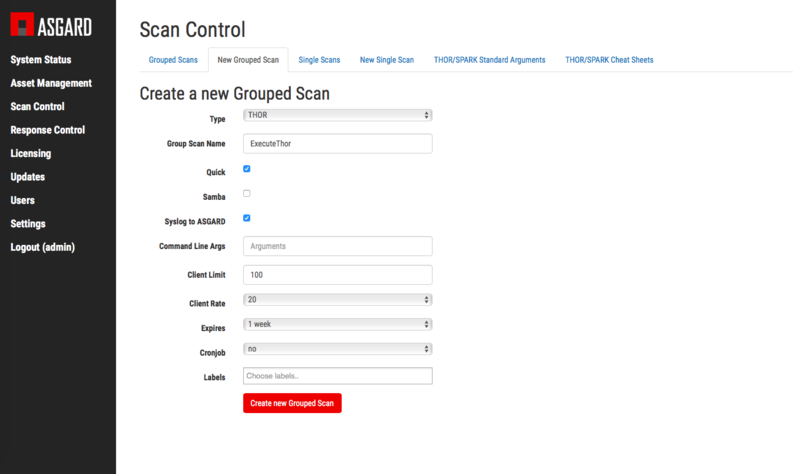 It features templates for scan runs and lets you plan and schedule distributed sweeps with the lowest impact on system resources. Typical incident response scenarios consists of different stages, whereas each stage has its own challenges and required tools. 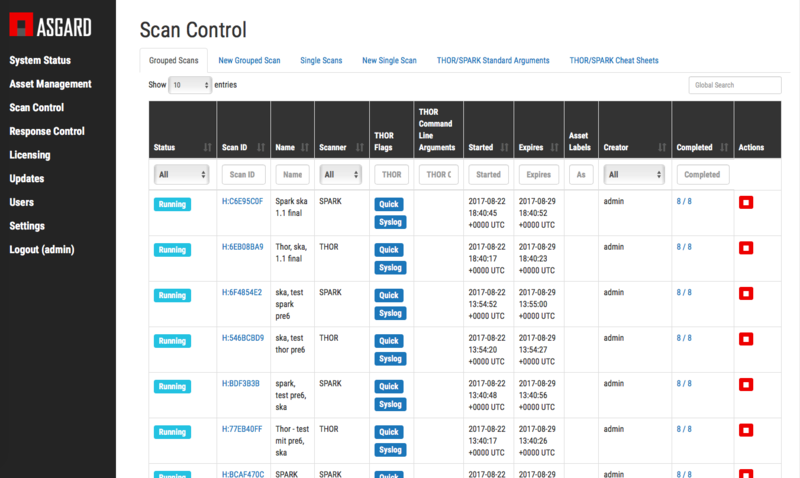 The ASGARD Management Center platform completes our tool-set universe and supports every stage of the incident response process. The ASGARD Management Center is provided in the following forms depending on the use case and certain prerequisites. Depending on its main use you can control up to 20,000 end systems from a single ASGARD Management Center hard appliance. The soft appliance is mainly used as scan control for THOR / SPARK scan runs on less than 3,000 end system.